This element allows you to separate content with invisible whitespace, predefined vertical separators or custom ones that you can design for yourself. Examples of the separator/whitespace element. Vertical space between the elements. Drag and drop the Separator / Whitespace element between the two elements. 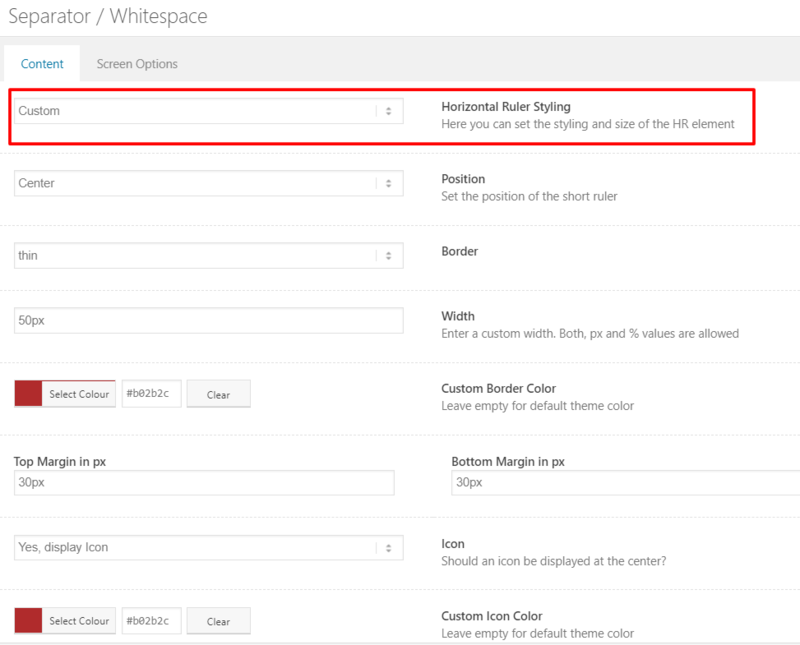 Select Whitespace from the dropdown options. Enter a numerical value in the height field to modify the space. To tighten the space between the elements try a negative number in the height field. Style your own horizontal dividers using element options, which lets you customize. Style your own border elements using custom CSS style make it dotted, dashed or use svg image as the source of your border element. Relplace icon with custom text using CSS.